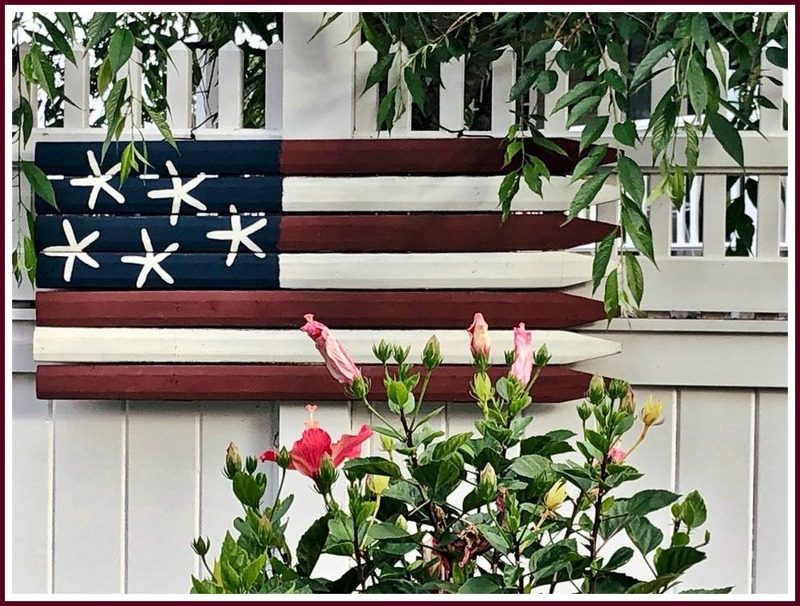 This entry was posted in Beach, Pic of the Day and tagged Compo Beach flags. Bookmark the permalink. Our flag: beautiful, inspiring.and beloved in every representation. Let us not forget the promise it stands for, of free speech, equal rights under the law and their sacred honor, for which our forefathers, in peril of losing everything, pledged their very lives. How brave they were. All flags are worth celebrating. Seeing the American flag is a stark remembrance for me of liberties won by millions of American soldiers laying down their most precious possession, their lives. May she be respected proudly by all Americans. Would love to see more pics of American flags, Dan..! Eleanor and Bonnie, I agree with both of you. 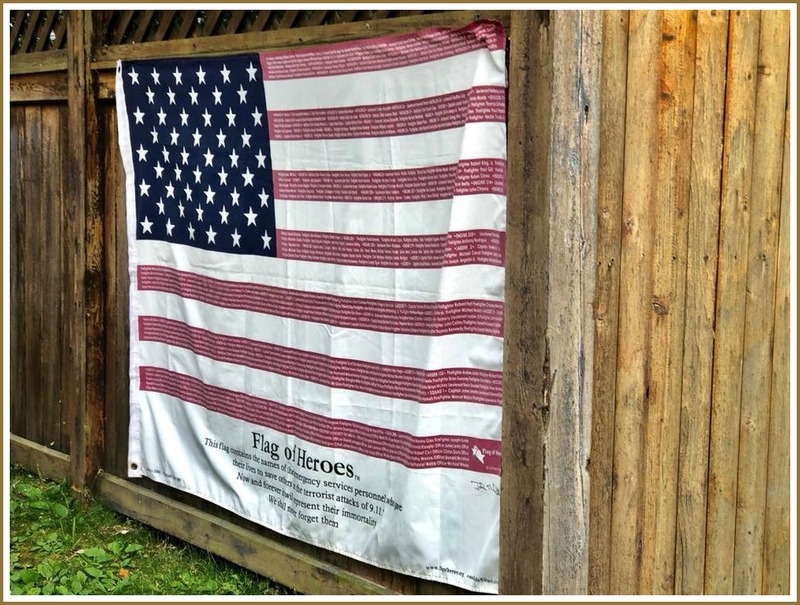 The lower flag says that it is a Heroes Flag and is dedicated to the memory of the service personnel who gave their lives saving others on 9/11. The red stripes represent hardiness and valor, the white purity and innocence and the blue field vigilance, preservation and justice. May our flag wave always and may we remember the sacrifice made for our freedoms.